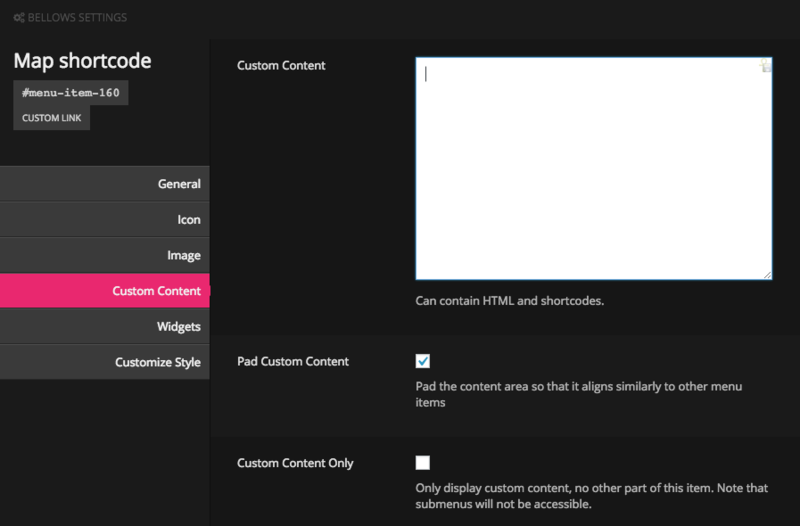 To add custom content to your menu item, open the Menu Item Settings for that menu item and click the Custom Content tab. Add any content you like to it, including text, HTML and shortcodes. Note that you cannot add PHP. If you want to execute PHP, just create a simple shortcode to wrap it, and then add your shortcode to the custom content area instead. First, create a new custom link, with the URL set to # and Link Text set to something to indicate what type of content you’ll add there. The Link Text will not actually be displayed when you’re done, so just give it a useful name, like “Contact Form” or “Map”. Add the item to the menu, and add your custom content to the menu item setting. 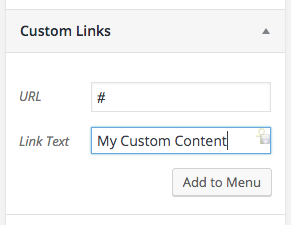 To display only the custom content, and not the link, link text, image, etc, check the Custom Content Only box. Note that you can’t have a submenu for this item if it is purely custom content. Now the item’s content is purely your custom content. 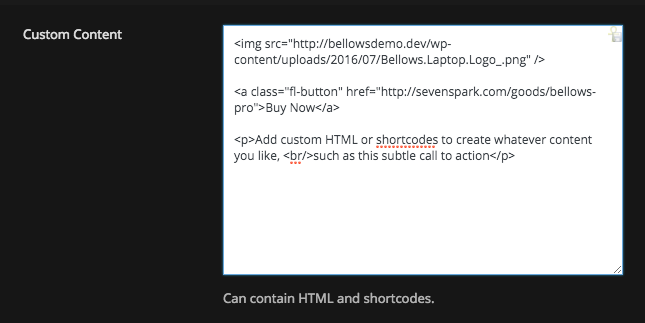 Note that Bellows does not control the styles of your custom content. As this content could be anything, the styling is left up to you.